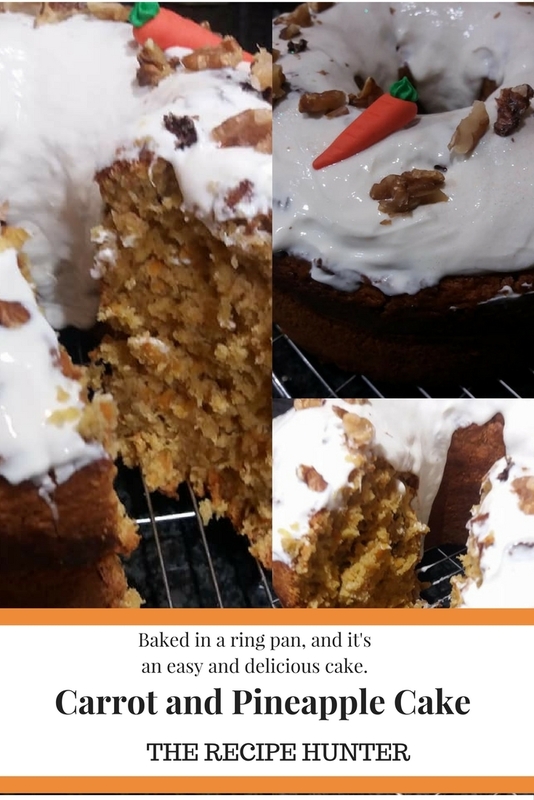 Baked in a ring pan, and it’s an easy and delicious cake. Add crushed pineapple with water in a tin. Add nuts. Grease and line a ring pan tin. Bake for 1 hour or 1 hour and 30 min on 180 C until a skewer comes out clean.